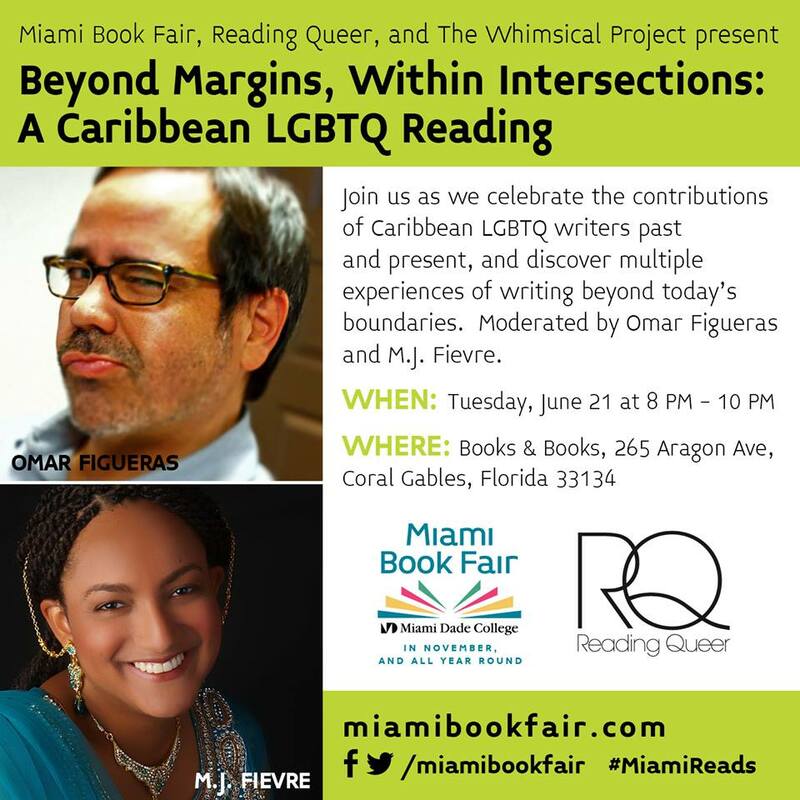 Join The Miami Book Fair, Reading Queer, and The Whimsical Project as we celebrate the contributions of Caribbean LGBTQ writers past and present, and discover multiple experiences of writing beyond today’s boundaries. Readers include JV Portela, G Winston James, and Y’señia Mina. Moderated by Omar Figueras and M.J. Fievre. In the Caribbean, LGBTQ individuals live in fear of being ostracized at best and physically assaulted at worst. LGBTQ writers from the Bahamas, Cuba, Jamaica, and Puerto-Rico will read stories and poems that address their common challenges and concerns as they embrace identities that intersect, and that are also at the margins of society. They will discuss issues related to representation and visibility (both at home and in the Diaspora) and consider whether literature can act as a dwelling place for those rejected by their families and communities. Books & Books in Coral Gables, FL on Tuesday, June 21st, 2016 from 8 – 10pm. RSVP > here.